This is a painting from ancient art created by some of the earliest American Master Artists. Go into any Art Museum in the world and you will find artists copying and studying the art of the great master painters of the past. 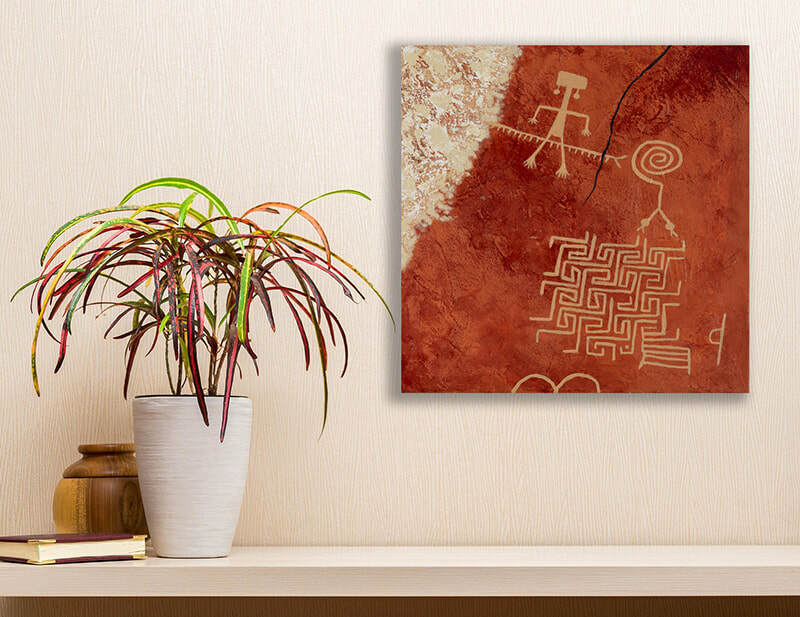 My painting is a copy of the Maze Rock Petroglyphs, possibly over 4000 years old, painted by Anasazi Master artists. 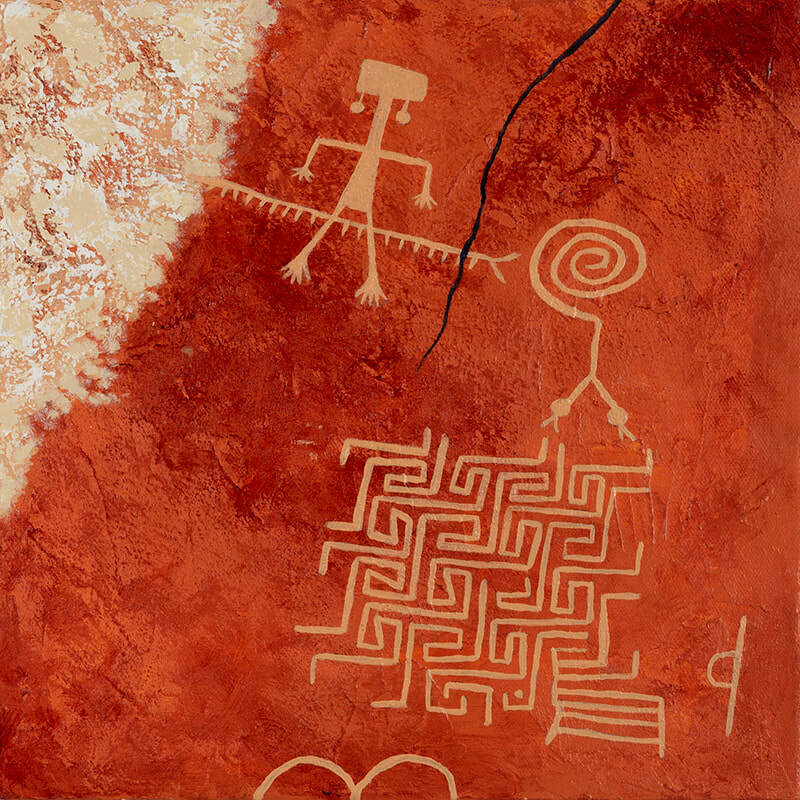 This small study (12X12, acrylic on canvas) is in preparation for a larger painting the will incorporate these petroglyphs into the background. If you want to copy this original art you will need to travel to a group of boulders near Coyote Buttes, part of the Vermillion Cliffs National Monument.